If you've been paying attention to the booze aisle in your local supermarket (and if you are, I'm both impressed and concerned for you) then you may have noticed a few intriguing bottles appearing over the last few weeks. Oddka Vodka is definitely marketing itself in the 'something different' category, and it's not surprising they're being stocked by Revolution Bars: they're trying very hard to offer something completely new to explore. 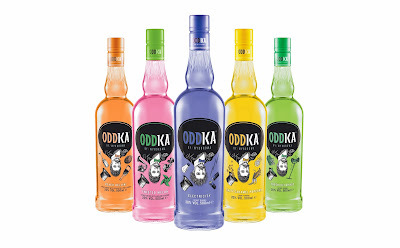 The premise is that Wit Oddoski, an eccentric with a vodka-related dream, created the range because he wanted to bring the world more unusual flavours. So how well do they succeed? They sent me a selection of their unique vodka liqueurs to try, so some of my best girls and I sat down with empty glasses and piqued interests. Twisted Melon flavour was our first choice, and has a pleasing pale coral colour, but was the one we were least excited about. Oh, how we underestimated it! It smells and tastes quite literally like fresh, summery, juicy slices of watermelon which have been blended with a healthy slug of good vodka. It's 20% abv, so dangerously sippable, and smooth enough to drink on its own over ice or as part of a multitude of summery cocktails. Oddka recommend combining 2 shots of vodka with 4 shots of cranberry juice and a squeeze of lime, and I like the sound of this very much indeed. 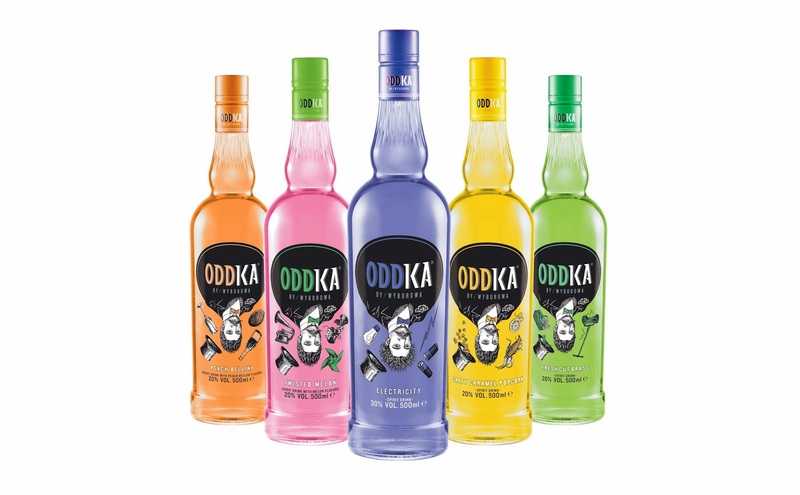 Oddka vodkas are available from Asda for £8.00 per 50cl bottle, as well as Sainsbury's for slightly more, and various other UK retailers.